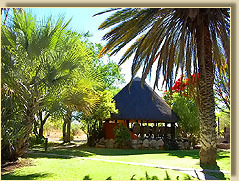 Vreugde Guest Farm: Making your African experience a truly Namibian one. The meaning of the word "Vreugde" is joy or happiness and that is exactly what we strive to offer our guests. 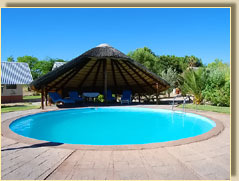 A winner of the Hospitality Association of Namibia (HAN) Golden Award for eight years, we endeavour to provide a friendly welcome and high quality, personalised service at an affordable price. Come and enjoy the peaceful tranquillity as you relax in our beautiful, lush garden, while your hosts take care of your every need. 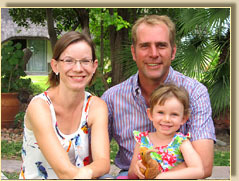 During your stay, you will be in the capable hands of Danie and Rachel Brand, as well as Danie's parents Elsie and Danie. 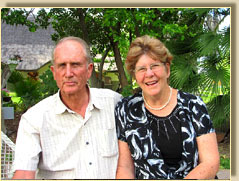 Elsie and her husband Danie have lived on Vreugde farm since 1974, whereas Danie and Rachel, who have themselves lived and worked in Etosha, joined the Vreugde team in April 2010, and took over management of the guest farm in 2015. We do not consider our guests mere tourists, and thanks to the small size of our operation, through that extra personal touch, we are certain that before you leave you too will join our ever growing list of friends. 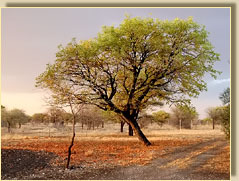 We look forward to making your African experience a truly Namibian one.